Last year was our hottest year on record, and eastern Australia has continued to feel the heat this summer, with record temperatures experienced across much of the country. No relief is in sight: heatwaves will continue to increase in severity and frequency as human influence on the climate strengthens. In this article, we summarise the current and expected patterns of heatwaves in Australia and examine the effects of heatwaves on health, and the public and individual responses. The Bureau of Meteorology’s Heatwave Service for Australia defines a heatwave as ‘three days or more of high maximum and minimum temperatures that are unusual for that location’. Heatwaves are categorised as ‘low-intensity’, ‘severe’ and ‘extreme’. Severe heatwaves pose challenges for vulnerable people, such as those aged over 65 years, pregnant women, babies and young children, and those with chronic and acute health conditions. Extreme heatwaves are rare but exceptionally intense; they affect normally reliable infrastructure such as power and transport systems. Extreme heatwaves threaten the health of anyone who does not take precautions to keep cool. Heatwaves are identified using the forecast maximum and minimum temperatures over the coming three days for a particular location, compared to actual temperatures recorded over the previous 30 days and the ‘normal’ recorded temperatures for that site for the same three days. This means that in any one location, temperatures that meet the criteria for a heatwave at the end of summer will generally be hotter than those that at the beginning of summer. Almost all of Australia has experienced a lengthening of the heatwave season, with the first heatwave occurring much earlier in summertime than 60 years ago. The intensity of heatwaves, as measured by the temperature of the hottest day, is also increasing. Since 1950, the annual number of record hot days across Australia has more than doubled, and maximum and minimum temperatures have increased by around 0.9°C. Over the past decade, the frequency of record hot days has been more than three times the frequency of record cold days. Over much of eastern Australia, the trend in the number of heatwave days experienced is two extra days per season each decade. Heatwaves are also projected to become more frequent, with increases of 20–40 extra days per season in the north and 5–10 extra days in the south likely by the end of this century. Heatwaves are the most deadly natural disasters in Australia. Between 1844 and 2010, heatwaves killed at least 5332 people, and 4555 since 1900 – more than the deaths from all other natural hazards combined. Over 30 per cent of those deaths occurred in just nine events. Although Australia is more vulnerable to heatwaves than most other countries – south-eastern Australia in particular – heatwaves are a major health problem worldwide. The European heatwave of 2003 increased all-cause mortality across 12 countries by 70 000. 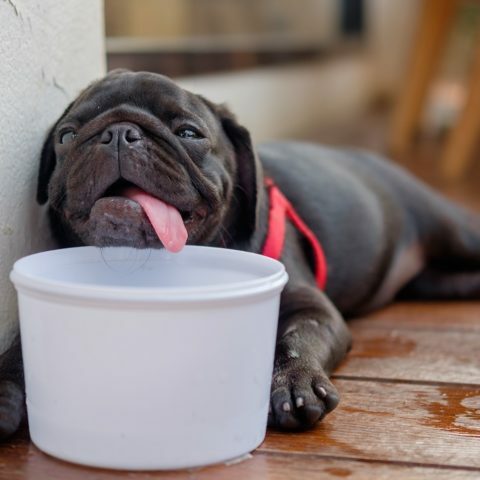 Heat stress occurs when we are unable to cool ourselves enough to maintain a healthy temperature. The body usually cools itself through perspiration, but in extreme heat persperiation is not enough, and body temperature keeps rising. Heat-related illness can range from mild conditions such as rashes or cramps to very serious conditions such as heatstroke. Heatstroke occurs when the core body temperature rises above 40.5°C, causing damage to internal organs and delirium, coma and seizures. 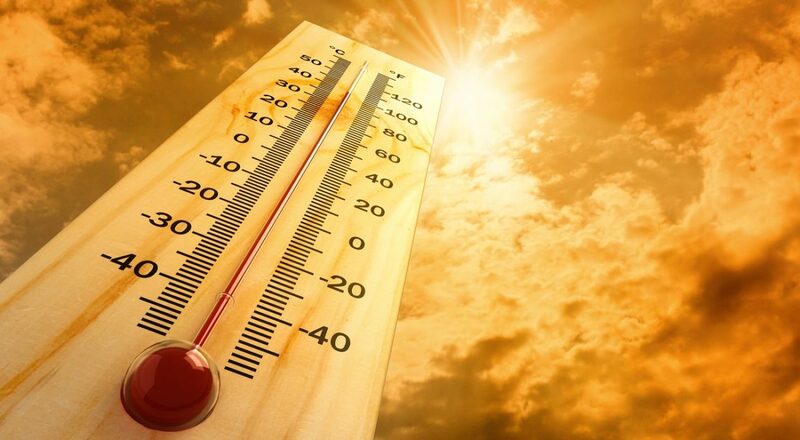 The major cause of death during heatwaves is heat stress and dehydration, which exacerbate existing health problems such as cardiac conditions, asthma and other respiratory illnesses, kidney disease, diabetes, nervous system diseases and cancer. 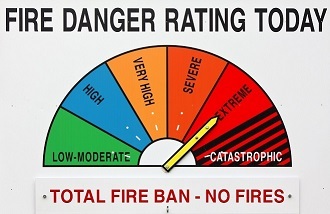 During the heatwave that preceded the Black Saturday bushfires, between 26 January and 1 February 2009, maximum temperatures were 12–15°C above normal for most of Victoria, while Melbourne endured three consecutive days of temperatures above 43°C. An estimated 374 people died as a result of the heatwave – more than twice the number that perished in the fires. Most of the 248 people who died were aged 75 years or older; 46 people were aged between 65 and 74. Paramedics were called to nearly three times as many heart-attack patients, locums had twice as many calls to attend a deceased person, and the number of patients dead upon arrival at emergency departments rose three-fold over normal expectations. Ambulance Victoria’s metropolitan emergency case load increased 25 per cent in total and 46 per cent over the three hottest days. There was a 34-fold increase in cases with direct heat-related conditions. Victorians can subscribe to receive automatic heat health alerts when temperature thresholds are reached. The system notifies local governments, departmental program areas, emergency services, health and aged care sectors, major metropolitan service providers, peak and advocacy groups and the general public about extreme heat or heatwaves that are likely to harm human health. 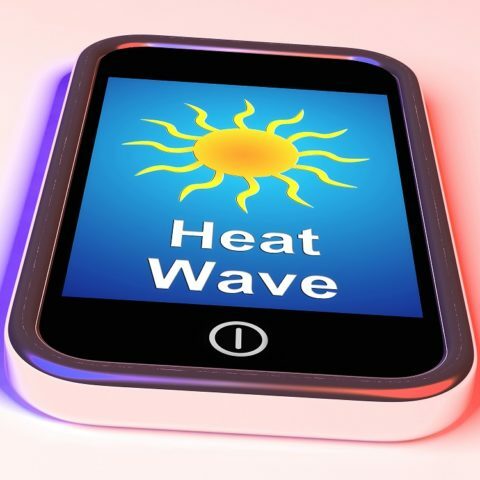 In addition, people with smartphones can download the Better Health Channel app and receive personalised alerts for heat, (as well as UV, smog and pollen measures). The 2015–16 Heat health plan outlines how authorities monitor and manage extreme heat, and how Victorians will be informed about protecting themselves, their family and friends from the risks of extreme heat. The Heat Health Information Surveillance System (HHISS) was established in November 2009 to monitor the effects of extreme heat on human health in Victoria. It collates and analyses information from the Registry of Births, Deaths and Marriage, the State Coroner’s Office, Melbourne Medical Deputising Service, Ambulance Victoria, NURSE-ON-CALL, public hospital emergency departments and the Bureau of Meteorology. The HHISS provides senior managers in the Department of Health with daily information about health service activity and mortality between 1 November and 30 April each year. This information assists in assessing public health risk from the heat and in emergency planning. Dizziness and fainting. Heat increases blood flow to the skin and pooling of blood in the legs, which can cause a sudden drop in blood pressure and reduced blood flow to the brain. 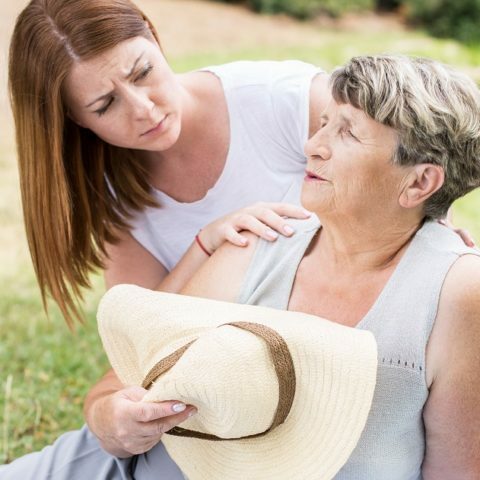 A person who faints or experiences dizziness during a heatwave should be moved to a cool area and helped to lie down. When fully conscious, give fluids. Heat exhaustion, which occurs when excessive sweating in a hot environment reduces blood volume, can develop into heatstroke. Typical symptoms are paleness and sweating, rapid heart rate, muscle cramps (usually in the abdomen, arms or legs), headache, nausea and vomiting, dizziness or fainting. Treatment consists of getting the person to a cool area and lying them down; removing outer clothing and wetting skin with cool water or wet cloths; increasing fluid intake if they are fully conscious; and seeking medical advice. Move the person to a cool, shady area and lay them down. If unconscious, position the person on their side and ensure their airway is clear.